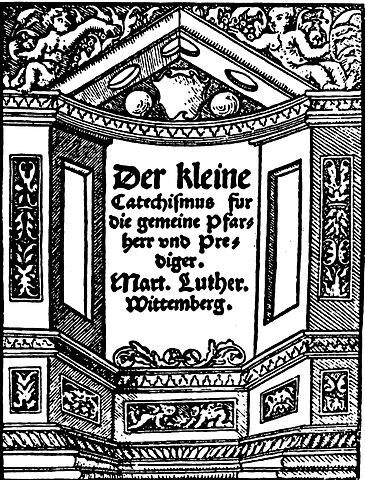 The title page from the 1529 edition of Martin Luther’s Small Catechism. Want to know more about the Reformation and what Lutherans believe? This short list of books will help you dig deeper into the faith of the Reformers and their heirs today. Consider it a crash course on Lutheran theology and its early history. This bestselling biography of Martin Luther was first published in 1950 and remains a classic to this day. A great option for those wanting a scholarly but accessible introduction to the man and the Reformation he helped start. After this, you might want to check out Bainton’s other book, The Reformation of the Sixteenth Century. In this book, Veith introduces the faith of the Lutheran church in an eminently readable, winsome way. Always wanted to know what Lutherans believe, but weren’t sure where to start? This is the book for you. Looking for even more? Try this expanded book list for even more reading ideas on the Reformation, with books suggestions in a number of categories, including children’s books, biographies of Luther, history, women of the Reformation, and more.